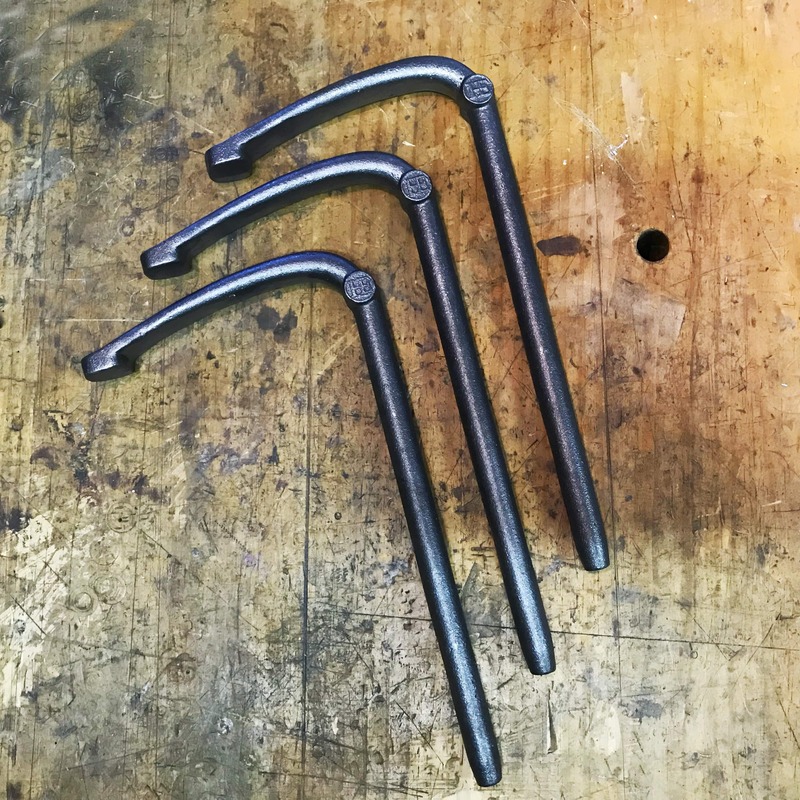 Woodworkers often use holdfasts in pairs to secure larger or odd shaped workpieces. The Henry Eckert Holdfast is hand cast in Ductile Iron so it is very strong and shatterproof but it still maintains some desired spring. The design is traditional but with a low profile so it keeps out of the way of your work. It is designed to fit a 19mm (3/4″) hole in your bench. To secure your workpiece simply rap the top of the holdfast with a hammer, to release, just tap the upright neck. 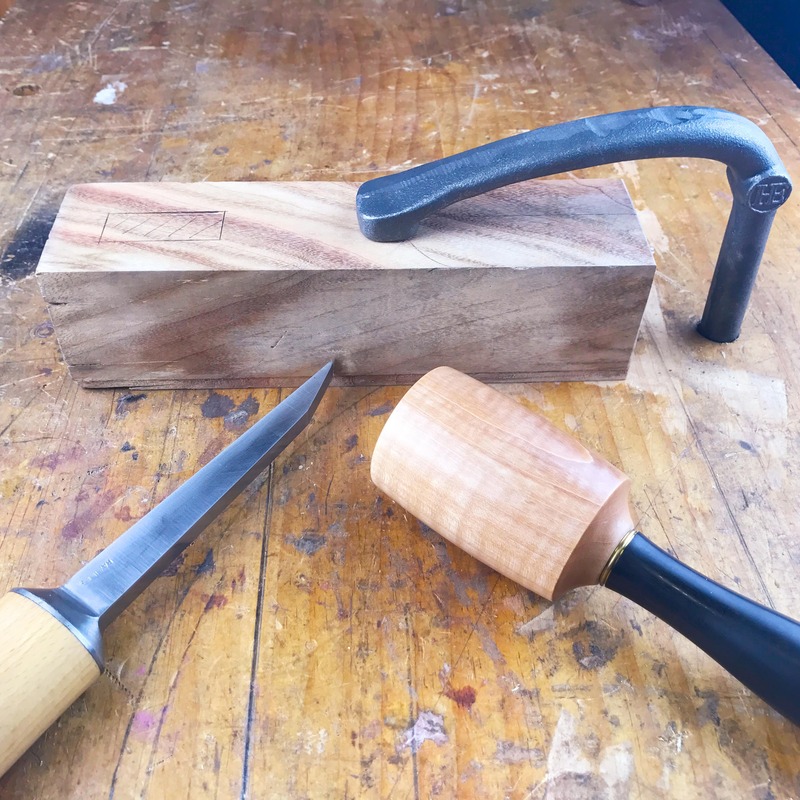 Due to the solid holding abilities it is advisable to place a piece of scrap wood between the holdfast and your workpiece to avoid bruising. Often these tools are used in pairs. The holdfast is 330mm tall with a 155mm reach. Finished in Henry Eckert Metal Wax, this tool is here for the journey.